It's actually the Nottingham photos filtered out from Picture the Past. There's nothing new in there. PTP used to be Nottinghamshire and Derbyshire, but they have now partially separated into two sites. 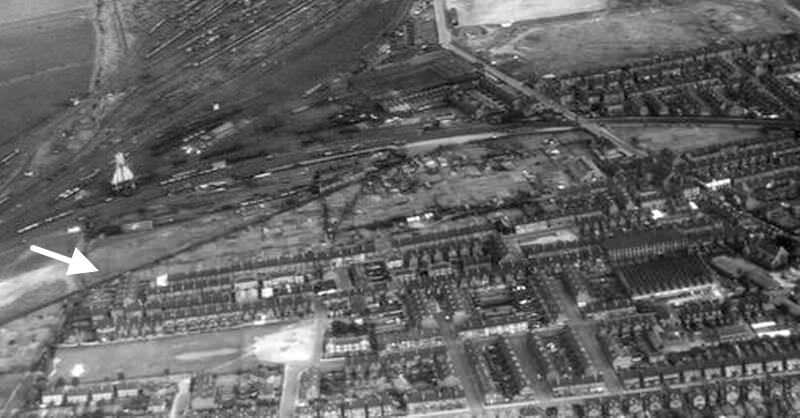 Some time ago I found a photo of Norman Villas in Netherfield which is where I spent my early years. I've tried to find it recently on Picture the Past and other websites and haven't come across it again. Any help would be appreciated. Thanks GUYS! Was that the street between Deabill St; and Godfrey street. Lizzie? If it was I knew one gal my age who lived there. Her name was Kathleen Hickling if I remember rightly. Never saw or heard of her again after We moved from Hodgkinson st.
Can you remember if you found it on PTP in the first place....or was it posted by someone on here ? CT, it was in PTP I’m pretty sure. Not those photos on the link above. This probably wasn't it, but it's the best so far. No CliffTon, the photo I remember seeing was a view of the front of the houses, taken from the street. Thanks for searching though, I appreciate your efforts. Thinking it over, Lizzie. I remember you said they were at the top of Dunstan street. I think I got confused because there is a Norman street between Deabill and Godfrey streets. Cliffs photo is great but I just can't orientate myself on it. The only thing I can pin down is the old coaling plant. the white triangular shaped tower near the top left of the photo. You weren't dreaming Lizzie, cos I remember the photo you are on about. I have gone through all the past threads and can't find it. Wonder if it disappeared when Photobucket was being awkward and removed photos? Having said that, there would still be a reference to it, even if the picture went. It's a mystery. The only thing I can pin down is the old coaling plant. the white triangular shaped tower near the top left of the photo. Loppy, there’s a photo of me and a friend standing somewhere in Netherfield with that big concrete thing in the background, I always thought it was a monster when I was little! I’ll try to find it and post. 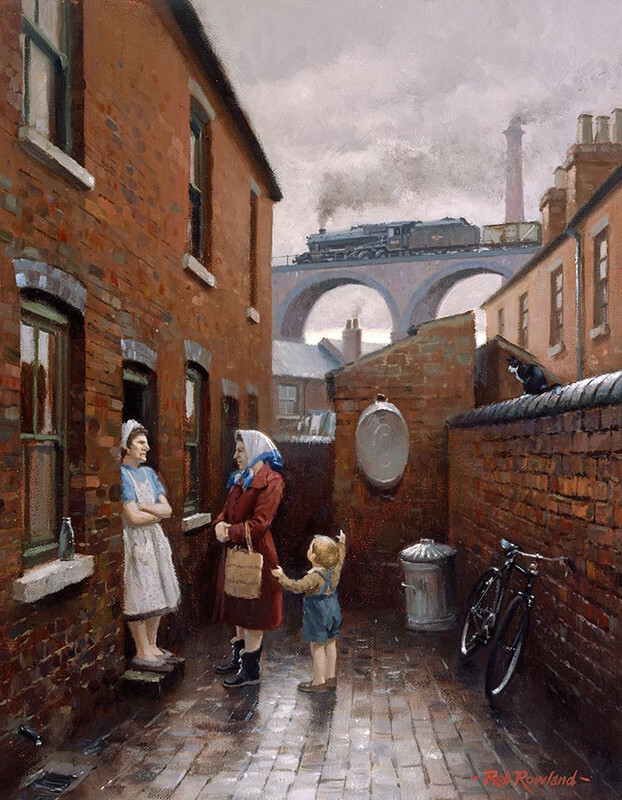 I am not sure where to post this but I have found on my web searches a site on artist Rob Rowland, www.robrowland.co.uk, and I thought some of you might be interested in viewing some of his work. 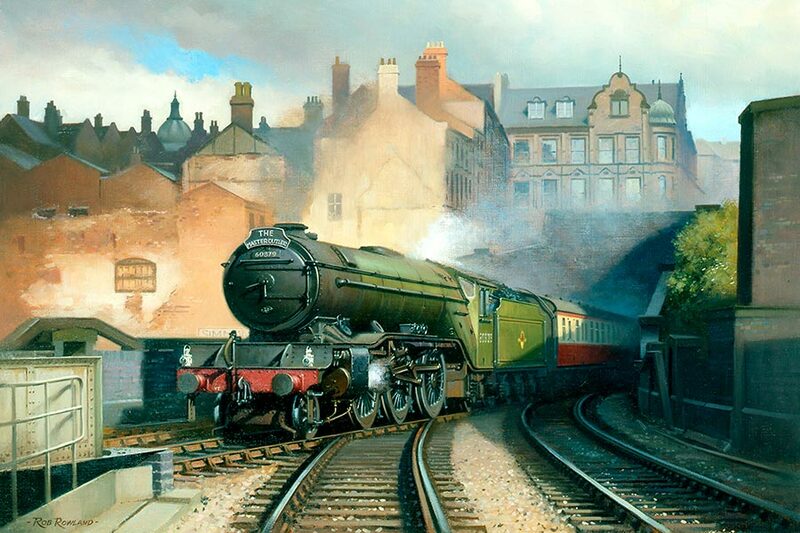 Many of his paintings are of the railways and of old areas which reminded me of memories of Nottingham. I have purchased one which looks like it is at the top of the stairs leading up from the old Broadmarsh, " a kind of loving". Many of them revived old memories of how Nottingham used to be. I was going to copy one and post it on here but with the recent comments on copyright I thought better of it. After purchasing the print the wife diplomatically reminded me she never went in that area with me ,you will know what I mean if you see the print, In the 60s Hucknall girls thought you needed a passport to leave the Town. 'Publish and be damned' was mentioned recently Trogg, which is an outrageous statement in this day and age, when sueing and lawsuits are rampant, but I'm certain that If you commend the artist, you should be ok. There are some fantastic photographs out there.. online, on this site. Robs paintings are a delight.Memories of the Cliff Rd.area are tainted for me. I have taken your advice, Fly here are three which I like ,the first is from Nottingham, the second is like a typical street in Nottingham and the third is a print I purchased as it reminded me of my early teenage years in the Broadmarsh area, hope you like them. They are all available from Rob Rowlands site. Rob even got the bin lid right..they rarely fitted as the bin got pounded on the back of the Dustcart. Although I like old steam engines, I wouldn’t call myself an enthusiast. 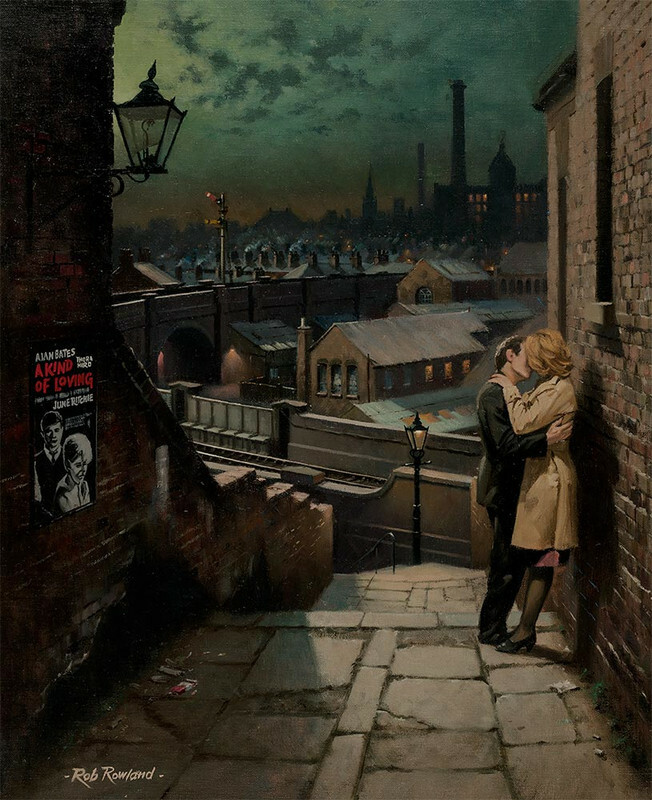 Every now and again I stumble across these Rob Rowland paintings and remember how excellent they are. Really like them, Trogg. Poignant, that last one; I can hear the Dubliners singing. Has the last one brought memories back for you WW. Sure has, called out through the swirling mists of recall from another life. where we danced when we were young. WW, We want more please. Just a few words but they can evoke so many memories of really dancing on the shore. Aaah, It has to be Skeggy Shore. That's the only place we went when we were young. Dreaming..I'm always Dreaming. Choir please. All new members welcome.